With wintry weather right across the nook, there’s no better time than now to replace your cloth cabinet with a brand-new jacket. As the temperatures get cooler, you’ll likely find yourself desiring a touch greater safety from the weather. Granted, unique regions have unique climates. If you live in the south, as an instance, you can enjoy moderate winters with little-to-no snow. 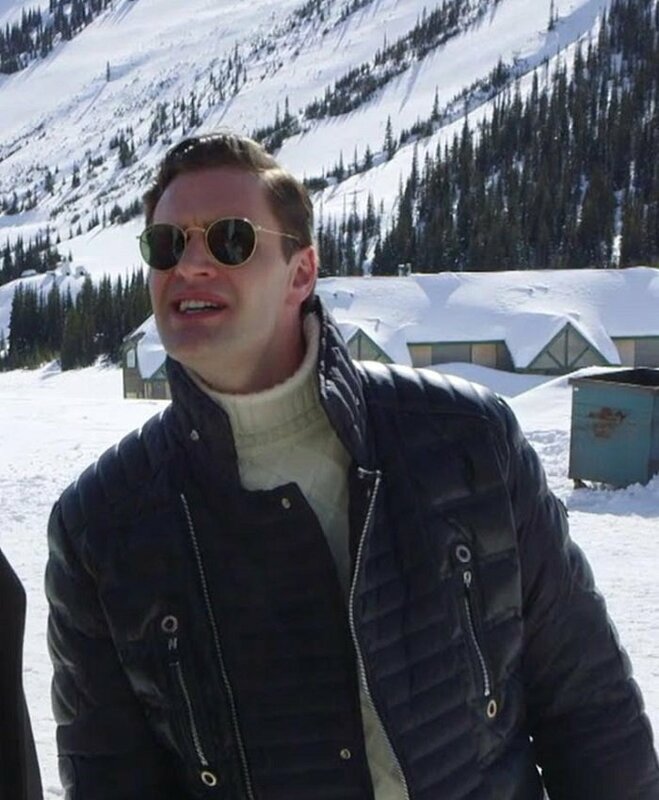 But if you stay within the north, you’ll possibly experience a conventional iciness with snow, ice, and bone-chilling temperatures.There are dozens of different forms of outerwear from which to choose, but one of the most flexible is a leather-based jacket. Whether or not you are a guy, girls, younger or vintage, you genuinely can’t move wrong with a classic leather-based jacket. With that said, however, you’ll need to pick the right of leather jacket to get the best stage of consolation and style this winter. So, how precisely do you select the ideal leather-based jacket for wintry weather?William jacket is one of the leading online stores that provide his customers with high-quality leather jackets. We provide our customers with new arrivals leather jacket. 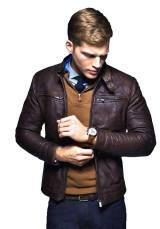 Men’s Snap Tab Collar Brown Biker Leather Jacket is one the new arrivals. This leather jacket is prepared for genuine leather. Its interior is lined by stuff stripe lining. It has snapped tab collar and an angled zipper pocket on both sides of the midriff and two horizontal zipper pockets on each chest side. It has a brown color. It looks more beautiful with its open hem cuffs on full-length sleeves. Don’t miss the Men’s Snap Tab Collar Brown Biker Leather Jacket.Arthur Curry Aqua man Distressed Leather Jacketismadeup distressed leather. Inside the movie, Arthur Curry acquires that he is the heir to the submerged kingdom of Atlantis, and must step forward to lead his people and be a hero to the world. Aquaman leads his peoples to step forwards against his brother Orm. Who wants to unite the seven kingdoms in opposition to the surface international? An amazing brown leather jacket inspired by means of the outfit of superhero Aquaman. This leather has viscose lining inside with belted collar. Dress up in Arthur Curry Aqua man Distressed Leather Jacket. This jacket will not let you down.Batman Vs Superman Dawn of Justice Leather Jacket is made up PU leather with viscose lining inside. For more attractive look its collar is made in erect style and cuffs are zipped. Captain America is one of most widespread character in all societies so his dress is. William Jacket brings the dashing Jacket from one of the best movies of all time Hollywood history “Infinity War”. And this character portrayed by Chris Evans. Batman Vs Superman Dawn of Justice Leather Jacket is made up of PU leather with viscose lining inside the jacket. It has a zip fastening with a stand-up collar.Just go to William jackets.com and check the new arrivals and don’t miss the Collarless Women Black Quilted Jacket, Deadpool Shearling Flannel Jacket, and Dwayne Johnson Rampage Brown Jacket.It really stands out if you are the only one wearing the latest that is to say the new-arrival the best “in “Jacket in the party being the center of attention of all the available. New arrivals are the best choices that you can make, as people most probably are aware of what is going on as “in” in the market, what is stylish today. We know that the Models, Stars, Actors, Actress, and even characters determine the fashion and the upcoming styles. They wear things now that have to become stylish later.The suits, costumes, and jackets whatever you like to wear - everything has been made sure of as to look as same in terms of both colors and style as the one worn by the celebrity in the movie, show, or series.We have kept the suiting’s, jacket and everything in every kind of leather or material that you desire to be wearing in, for that check in the list above.